single burner cast iron stove, 63-5111. 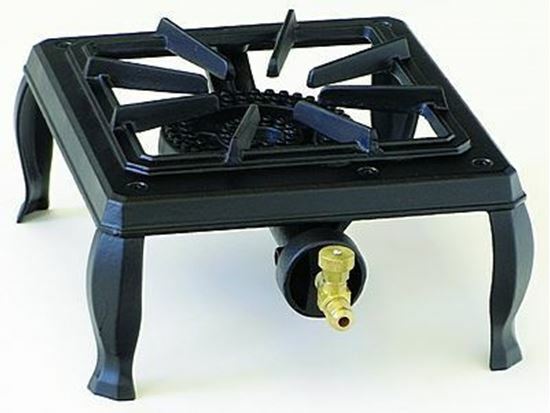 The Hurricane stove 63-5111 is a single burner hotplate in our line of economy cast iron stoves. This unit is manufactured from durable cast iron. They are lightweight and totally portable. The burner produces 15,000 BTU of heat. This unit is recommended for light restaurant and catering applications.